Over the last few weeks I thought that it might be a good idea to start something new on the blog and I will keep your mind on point with what will hopefully become a new regular feature on this page: NEW DISCOVERIES. Because while i was sorting out my latest outfit pics i felt the urge to post something else other than my usual looks. So for today i have something really special for you and i’m really happy to introduce you guys to the brand Shinola. 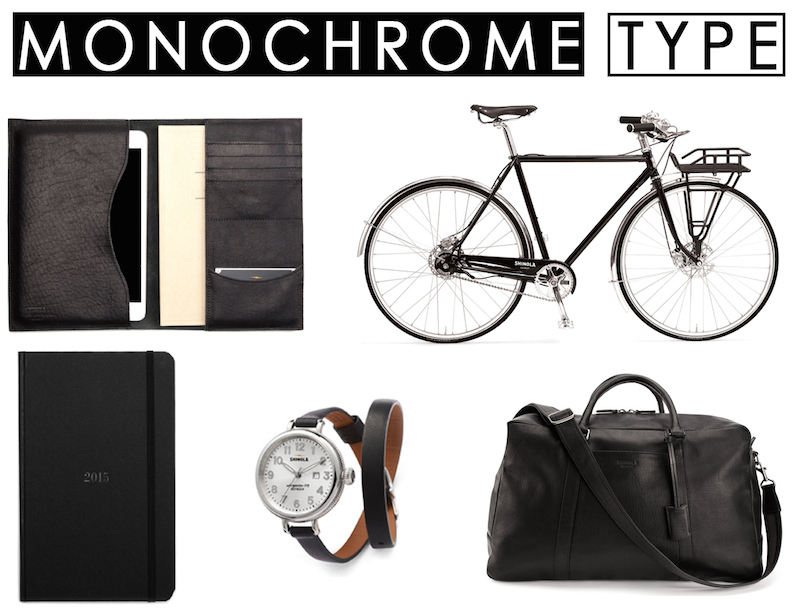 Shinola was founded in 2011 and started producing watches, timepieces, leather goods (even for pets), journals, plus uber cool bicycles -(and just for your information: all products are handcrafted). The special thing about this brand (and that’s what caught my attention after reading a few articles on the internet) is that this company is some sort of a throwback to a time when goods were built to last and they simply bring back the pride of manufacturing – in Detroit. And the fact that Shinola believes in local workers and decided to bring in watchmaking experts to train them instead of hiring them simply shows their authentic philosophy which is based around the premise of creating jobs. But now, let me show you my favorite items of their website and i guess, i have something for everyone. 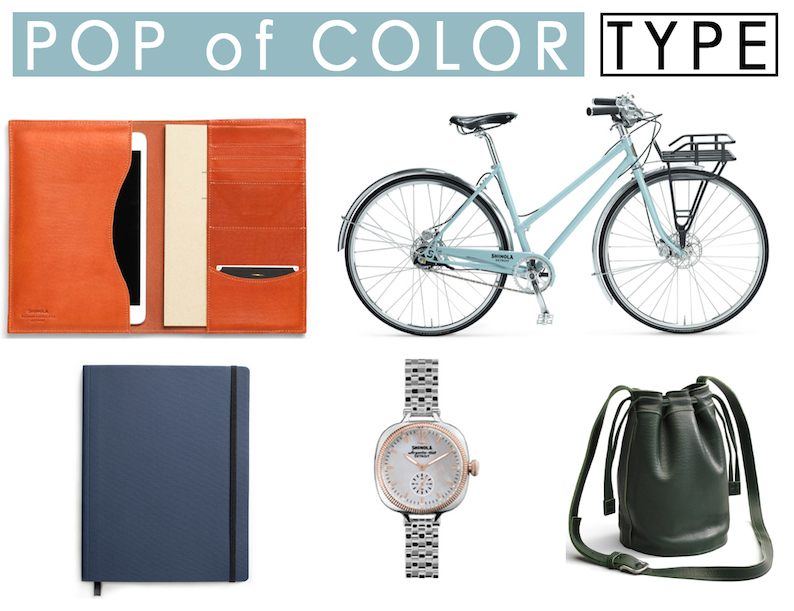 Although watches make the majority of Shinola's output i created two different boards in order to show you the variety of their products and as much as i love the monochromatic look i think there is also something special by adding a pop of color – and if you ask me i would totally love to call the mint-colored bike my own. 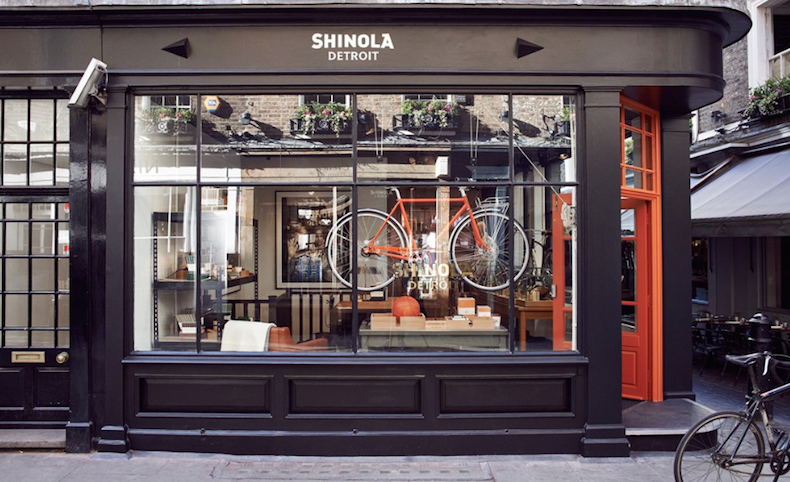 So for those who are interested, Shinola has not only opened a shop in London, Carnaby Street (picture down below) they also launched its commerce website for visitors from Europe and your officially able to order their products online. So definitely take a look at their site!